As a premium brand of ERIKS Sealing Technology, a comprehensive range of other sealing products are also available. 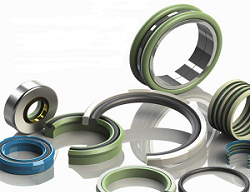 ERIKS Sealing Technology is a world leader in high-performance O-rings, elastomeric and polymer seals. Our focus on your markets, and passion for technology helps us to engineer new solutions for your applications and has established ERIKS as the know-how team. We offer a range of more than 60,000 seal and gasket stock items, including 20,000 different O-rings alone. ERIKS is a world leader with more than 50 years' experience in the production and distribution of O-rings and elastomeric seals, as well as producing and distributing gaskets, rubber products, engineering plastics, valves and hoses.